I started my third and last day in Phnom Penh with a Kuy Teav, a typical Cambodian breakfast. The dish is a broth consisting of rice noodles with pork stock and toppings like onions, bean sprouts, and vegetables. I also had an omelet with bread, and a strong coffee. Needless to say, it was delicious. 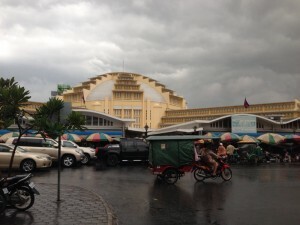 I hope you have enjoyed my previous article on my first day in Phnom Penh, the next day was pretty cool a well. 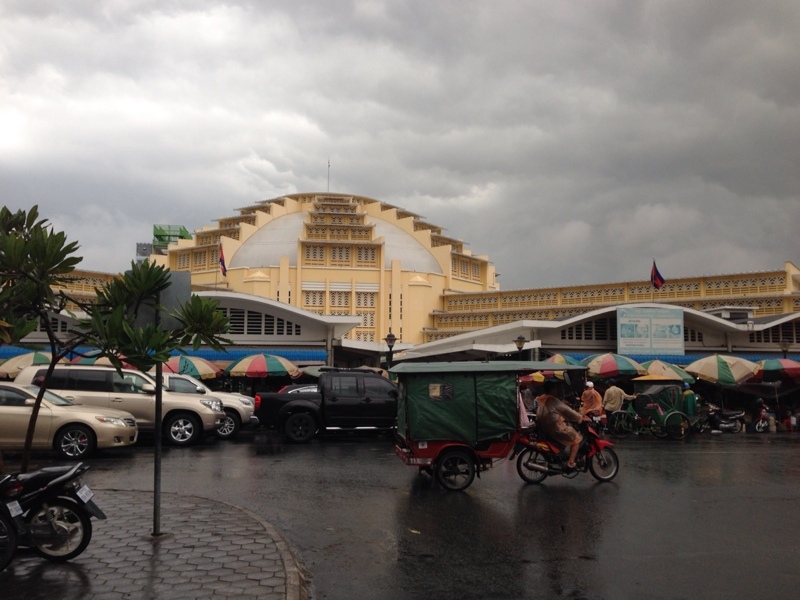 A lot of sightseeing, starting with the Central Market. 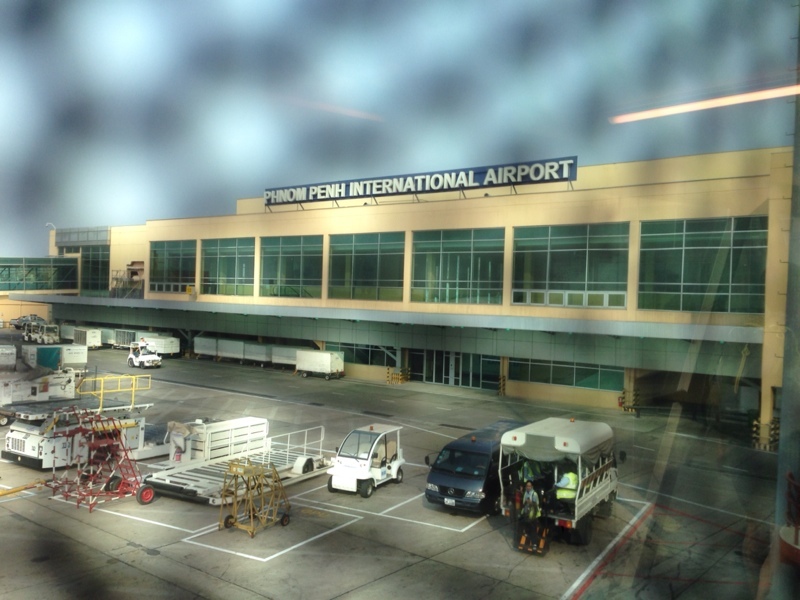 After landing at Phnom Penh International airport, exiting the airport is pretty easy. If you already have your visa (through Cambodia e-visa service) go straight to the border control counter. If you do not have a visa, you’ll have to request one at the airport. It is very easy, you have to drop your passport with a picture (if you do not have one they charge you $1) and then wait few minutes to get your visa, it is not free, neither the one online. At the airport is about $20. Once you pass the border control counter, you’ll see several shops that sell tours, hotel, etc. One thing I recommend is to buy a phone SIM card. I bought a Cellcard week plan for about $6, it included 1.5GB and was pretty useful. I could communicate with my tuk tuk driver, or even just calling a local number to reserved, book, you got it for anything. One you are all set and exit the airport, the next thing is to get to your hotel, guesthouse, etc. 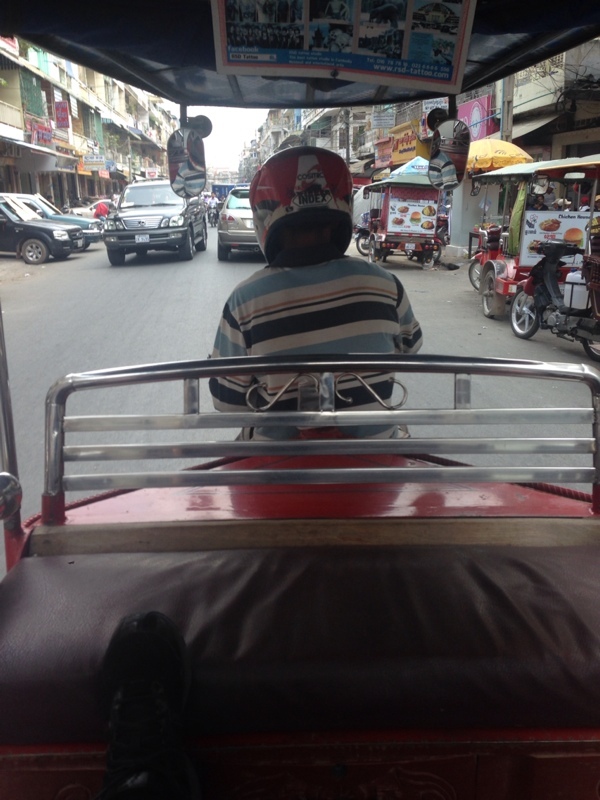 If you do not have a hotel like I did, ask the taxi or tuk tuk driver and tell them your price range. They will find something for you. Once you get to your accommodation, don’t hesitate to refuse to stay and ask the driver to bring you somewhere else. Cambodia is a fantastic country, and more importantly Cambodians are extremely nice people. I was amazed how locals were friendly, sociable, and kind, considering their recent country history. I stayed in Cambodia for a week, went through three majors cities; all together it was a cultural, adventurous, and discovering trip. I’ve done things like boat trip in the river, eating exotic food (like really exotic), learning more about the genocide, and of course visiting the famous temples among others things. I will share my experience with several articles for each city, when the experience itself is too big it will have its own article. 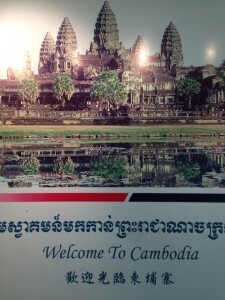 Let’s start with where I landed from Singapore, Phnom Penh, capital of Cambodia. I took the daily Singapore – Phnom Penh flight departing at 7:20am so when I landed and reach the hotel I was pretty exhausted. After a long nap, I went outside exploring Phnom Penh.